Tonight was one of those nights where my actions didn't keep up with my intentions. 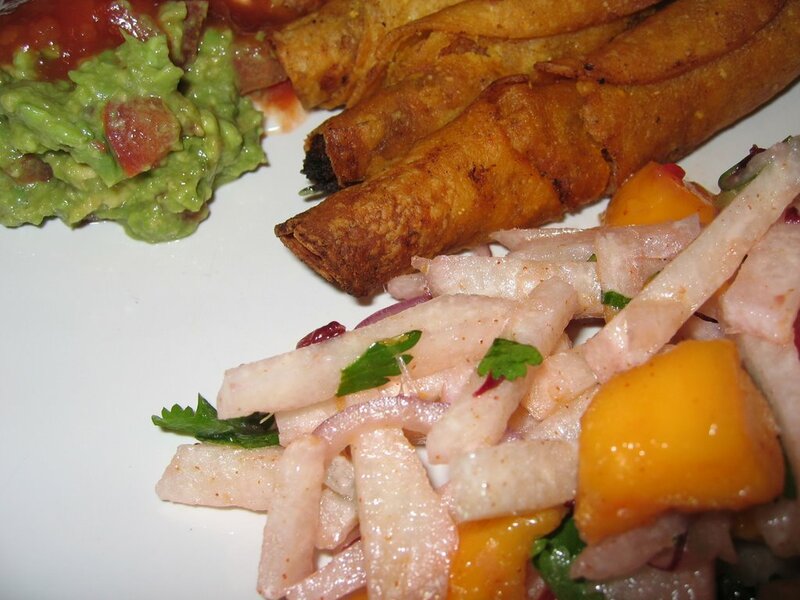 I planned on making a nice dinner but ended up serving frozen soy chorizo and potato taquitos from Trader Joe's (okay - they weren't frozen when I served them - I do have some standards). Hubby ended up having dinner with a client so my cooking plans scaled back a bit. 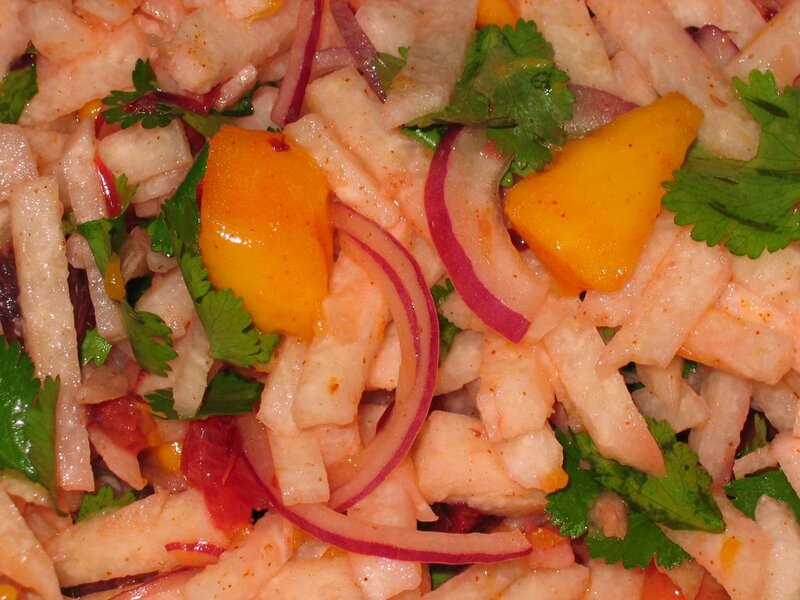 I did make this jicama salad to go with the taquitos and it was quite good. 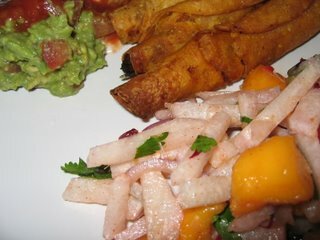 I have a very distinct memory of the first time I ever had jicama. I was probably 10 years old or so and we were at a restaurant in Southern California. It was fancier than where we would usually go while on vacation but we were visiting my mom's high school friend. While we were there they spotted Lena Horne at a nearby table. 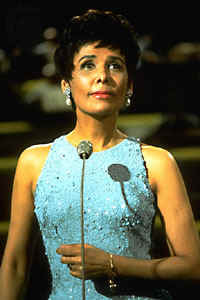 Mind you I had no idea who Lena Horne was but they were very excited. Anyhoo - I had a salad that had jicama on it and while it took some convincing I tried it and liked it. So seriously - pretty much every time I buy jicama I think of Lena Horne. Such a legacy.